Ghost Festival in Thailand 's Loei province is a must-visit festival. Ghosts always have taken a prominent role in Thai beliefs. Thai TV drama series focuses on spirits visiting families and friends and making their lives as uncomfortable as it can get. The Ghost Festival in Loei Provence takes place in Dan Sai. Ghost Festival in Thailand ‘s Loei province is a must-visit festival. Ghosts always have taken a prominent role in Thai beliefs. 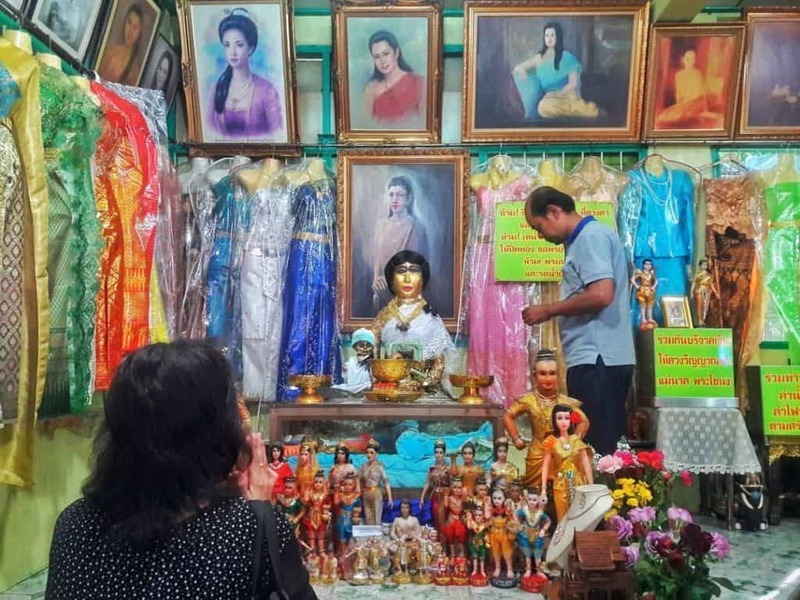 Thai TV drama series focuses on spirits visiting families and friends and making their lives as uncomfortable as it can get. The Thai Festival in Loei Provence takes place in Dan Sai. The Festival is a giant happening for the small and sleepy farmers’ town of Dan Sai. The Thai festival brings together local tradition, spirituality as well as a party-like atmosphere behind the masks. Thousands of locals celebrate a mixture of Buddhist and animist beliefs. The main event takes place during the procession of boys and girls in colourful outfit wearing masks. These head-peace masks are from woven cones used to steam the sticky rice. Banana Trunk or wood creates the face. The Thai festival is always in the weekend of the sixth full moon on the lunar calendar and resets a party where both death and living would love to attend with lots of cute girls, Thai food and music. The festival is a platform for heroes to overcome your fears for ghosts and other superstition. The site for the festival is the main street with the two temples accelerating the Dan Sai town ‘s activity. The trip overland takes approx 6 hours. You can take the bus from Mo Chit Bus Station. Travel from Bangkok centre with the BTS/Skytrain to Mo Chit. Take a ten minutes taxi-drive to Mo Chit bus station. The distance is app. five hundred (500) kilometres. Most buses have air-conditioned. Select carefully your bus. Private bus companies often have lesser stops and your travel will be shorter than the government buses. Buses usually depart around 9:30 AM and 10 AM. Check at the bus station for the exact departure times to avoid any travel disappointments. Thailand celebrates lots of different festivals which are platforms of happiness to attend. Thailand largest festival is probably Songkran Festival where millions of people take the car, bus or aeroplane to drive home and reunite with their family.